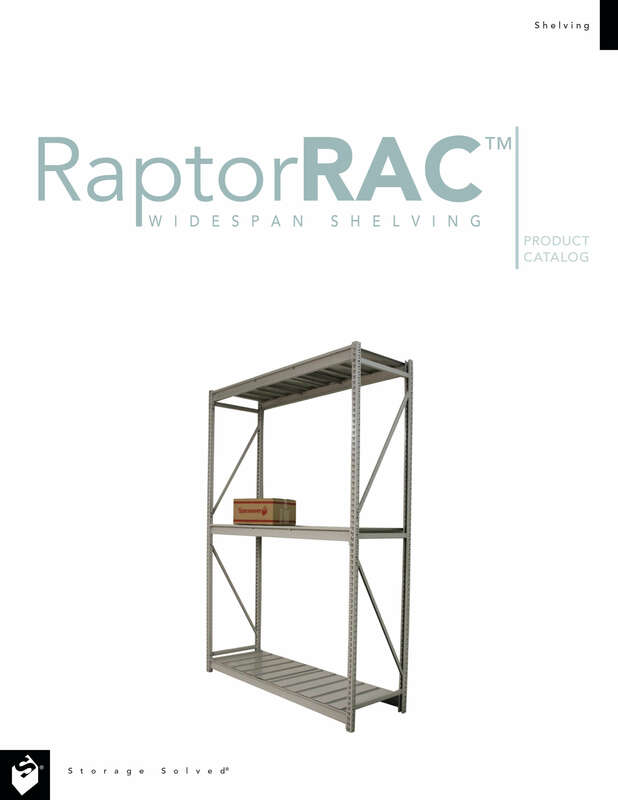 RaptorRAC Wide Span Metal Shelving | Donnegan Systems Inc. Strength & Durability: RaptorRAC storage systems feature a roll-formed boxed-style upright post design to provide optimum structural integrity. Horizontal “Z” beam design provides strength and stability to support loads over wide spans. Versatility: Features two upright design options, three beam options (low-profile, heavy-duty, and extra heavy-duty), and five decking options to provide maximum flexibility when in customizing your storage. Flexibility & Adjustability: Easy assembly, can be quickly installed or relocated. 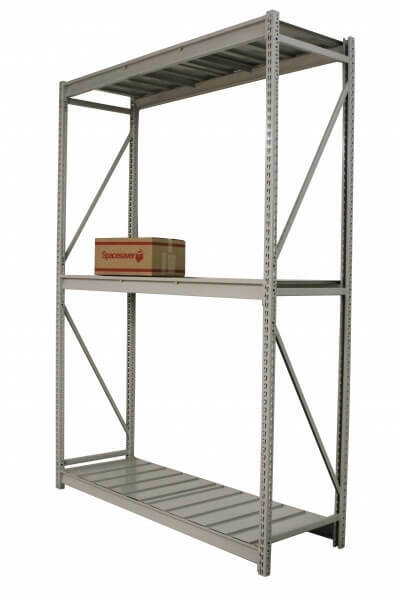 A wide variety of standard and configured sizes ensures a perfect storage solution for any space No tools necessary for adjustment, assembly, or disassembly. Accessory Choices: Anchor feet, front to back supports, upright splices, back to back supports, and back to wall supports allow customization for virtually any need, in any space. Color options: The RaptorRAC wide span shelving line is available in all Spacesaver mobile and shelving powder coat paint color options. You will receive a link to download this free catalogue, and your email will not be sold or shared.